Among the changes brought forth by the Rules Committee was a proposal to give the Legislature’s Planning Committee authority to prioritize one bill per session within its jurisdiction. The rule change was adopted on a 25-17 vote. The Rules Committee also advanced a proposal that would have formalized the amount of debate required before a cloture motion could be accepted by the presiding officer of the Legislature. A successful cloture motion ceases debate and forces a vote on a bill. Under the proposal, a cloture motion could be made only after six hours of debate on general file, three hours on select file and one and a half hours on final reading. These time limits reflect the current guidelines used by Speaker Jim Scheer of Norfolk. Lincoln Sen. Kate Bolz, who brought the proposal to the Rules Committee, urged its adoption. “Having full and fair debate on this floor [allows] our ‘second house’ to follow the debate, understand and engage in the discussion that we’re having about important policy issues,” Bolz said. Omaha Sen. Sara Howard spoke in support of the proposal, saying it is important to set a precedent for future legislators to follow once the current speaker is no longer in office. Sen. Mike Hilgers of Lincoln opposed the measure. He said continuing to allow the speaker of the Legislature leeway in managing the legislative agenda is necessary. After extensive debate, Bolz withdrew her proposed rule change from consideration. 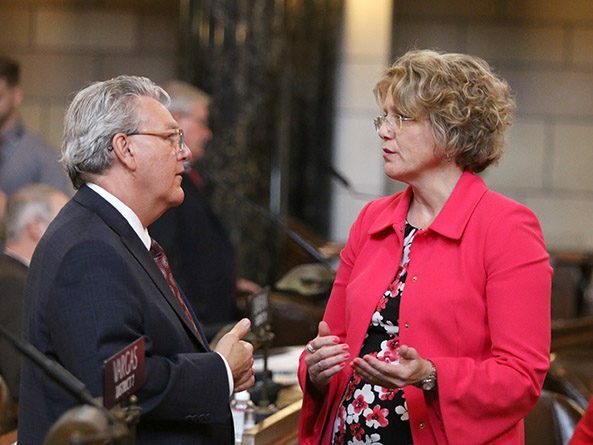 Finally, senators considered a proposal by North Platte Sen. Mike Groene that would have required public votes for election of the Speaker of the Legislature and chairpersons of all 14 standing committees. Currently, these votes are conducted by secret ballot. Groene said voters expect transparency from their representatives on all matters. Sen. Steve Lathrop of Omaha opposed the change. He said there is no compelling reason to change the process for electing legislative leadership. The Groene proposal was defeated on a 22-25 vote. Following adoption of an additional technical change, the rules were adopted 36-9.